Many people who are gluten intolerant do not discover this fact until they have spent many years struggling with their weight in a variety of ways. 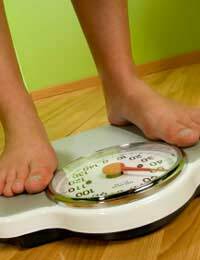 People with gluten intolerance may be very slim, but they may also be overweight and struggle to lose weight. They have often used a variety of diets and slimming programmes to try and manage their weight issues, but usually found that after a few months the effects of dietary control would ‘wear off’ and their weight would return. It’s important to note that not everybody who is overweight and struggles to lose weight is gluten intolerant. There are many issues and conditions that can cause people to be unable to manage their weight, but checking gluten intolerance is one of the more common ones and it seems to be increasing. There has been a strange leap in the rate of diagnosed coeliac disease: back in the 1940s it was considered that around 1 in 10,000 Americans, had the condition, but more recent studies suggest the incidence could be as high as 1 in 133. And it’s not just better testing changing the results, because in the 1950s, over 9,000 American Air Force recruits were tested and approximately 1 in 700 had undiagnosed coeliac disease. The same test, on the same number of young Air Force recruits, carried out in 2001, found that the rate of coeliac disease had increased fivefold. Undiagnosed gluten intolerance can stop the body’s ability to process the energy in any gluten containing food, but as it develops, the condition can also prevent the body using the energy contained in other foods too. As a result, either obesity or malnutrition may a response to the starvation that is happening because the body’s system is unable to digest food properly. If gluten intolerant people try to digest gluten, the nutrition-absorbing villi that exist in the small intestine are damaged, which stops them working properly to extract nutrition from the food passing over them. This can mean that coeliacs eat a vast amount, but gain almost no goodness from it. In some cases this means the sufferer develops bowel problems and looks gaunt and thin, while in other individuals, the starvation reflex is triggered and the undigested energy becomes body fat in a defence mechanism against malnutrition. This makes the sufferer fat but they are still starving, inside. It’s a fact that many coeliacs gain immediate and dramatic results from eliminating gluten from their diets. As well as stabilising their weight, they discover that their general health improves and that undiagnosed pains cease to affect their abdomens and bowels. The energy levels of somebody who is trying to digest gluten in a gluten intolerant gut will be very low, so once gluten is removed, energy levels normally zoom up, allowing the individual to take more exercise and thus to gain better muscle to fat ratios. If you still feel you need to diet, and you are gluten intolerant, try to avoid some of the major pitfalls that strike the dieter: taste rich condiments that liven up ‘diet’ food, can also tend to be high in modified wheat starch which can trigger a gluten reaction. Many standard ‘diet foods’ also contain wheat starch to bulk them out, so read labels with care. It’s also important to note that foods designed for a gluten-free diet may not be healthy. A lot of processed gluten-free products can be high in carbohydrates, fat and sugar and may be low in iron, so dieting needs special care if you are gluten-free as the foods that are easily available may not be low calorie or low fat.